Reflections and Ruminations: What prophets are, and what they are not. Whenever the word prophet is heard and spoken about, people generally have a mythic or misunderstood notion of it. The bible is filled with prophets like Isaiah, Ezekiel, Jeremiah and Hosea. If we are not discerning, we will think that the role of the prophet is to be a soothsayer of sorts, perhaps having either had a sneak-peak at what is coming in the future, or someone who has some crystal-ball gazing ability. Even though some of the passages in these books of the prophets do make out these personalities as oracles, the role of the prophet is much more grounded and related to our daily living. 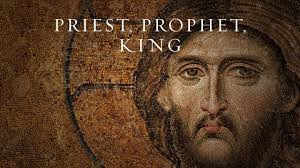 Perhaps this is why Vatican II had insisted rightly that at baptism, each of her flock becomes in essence a person who is baptized Priest, Prophet and King. When we don’t understand this high calling in our lives, we will probably not be able to live it out, unless we begin to unravel and apply to ourselves what being prophetic entails and what it does to us. Underlying the works and acts of a prophet has to be love – both of God and of the people to whom the prophetic actions and words are directed at. When this is not fundamentally understood, it easily results in one being a person who is merely a voice of anger, irritation and antagonism, which is not something rare these days. The social media alone is rife with people who take umbrage and offence at the drop of a hat, and respond in double quick time with repartees and opinions that are laced with seething disdain and criticism, often without much filter. Whether it be against terrorists or governments, racial groups or religious zealots, the anger and hatred is often blatant and undisguised. But what is behind this vitriolic is an all-important underlying tone of love and concern. To be a truly prophetic person worthy of that title and job description requires of one to manifest this part of our very being as well, which is founded on God who is love. Anger alone, or an insistence on justice with no leeway given for mercy of any kind is not prophetic in a healthy way. People who give no hope for an understanding and an opportunity for reform or repentance, and who are crying out for blood in return for blood shed are hardly prophetic. Antagonistic and belligerent people do not show a truly prophetic stature, and are more likely to cause others to continue in their ways than to even consider a metanoia. A true prophet has to always be able to see the good as well as the bad, and make no excuses for either. A prophet who is crying out for proper stewardship of nature has to be able to be one who isn’t only disturbed by the breaking down of the physical environment. He must be at the same time able to speak clearly about the wonders and beauty of creation. A prophet who feels called to rally against materialism needs to see where economic progress has raised humanity’s standard of living, hygiene standards and comfort and thank God for it. A prophet decrying moral decay and corruption in the people need to balance this out by acknowledging the goodness in joy and God’s delight in seeing his creation celebrating life as it should. I cannot just be a critic of individualism without speaking strongly and positively about the energy and strength that community can provide. Truly prophetic people are balanced and cannot be shouting slogans while wearing blinkers. It is only when we are strongly founded on the belief that God’s love for us is the raison d’etre of our existence, revealed in Jesus Christ, will this foundation be strong and real. Otherwise, we will just be angry voices, barking dogs and antagonism aunts, and end up alienating others from ourselves instead of forging bonds and lighting the darkness with the light of Christ in our hearts. The reality is that most of us don’t do this balancing well. We blow hot and cold with little consistency. And when we react without reflection and are unconscious of our hurtful words and biting remarks, we injure where we should bring a healing. That is why prayer has to be at the heart of every true prophet and his actions – the kind of prayer that bonds him close to the loving heart of God. Is this a high calling? Without a doubt it is. Yet, not many are willing to rise to the challenge with courage and fortitude. But strive we must, as it is a dignity bestowed on us with our baptism. If we do not see enough prophets in our world, perhaps we need to ask ourselves whether we have done anything to awaken the sleeping prophet inside ourselves. I believe that every Catholic parent ought to be a ‘prophet’ in his own home and family first. By this I mean that by their words, and especially their actions, parents have the awesome responsibility to lead their children to Christ. We often talk about bringing Jesus to the unbelieving world (out there), but we have to start with our own families first; those whom we have brought into this world. It really pains me to see that so many of (the children of) my Catholic friends and relatives are no longer practising Catholics. Not that I’ve done a terribly good job of it myself; not by a long shot. But prophets we have to be – and especially to our own children first. God help me to be the parent I ought to be.